These sweet little 1/2" discs of sterling silver have been stamped with a vintage bicycle image. So cute! 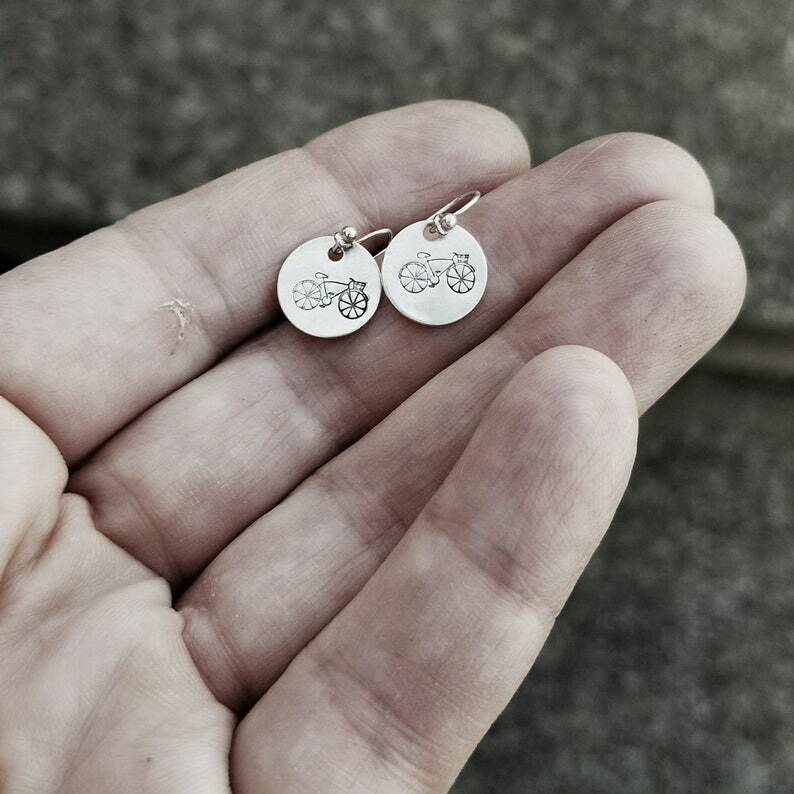 The little ear wires ride close to the lobe, making these a minimalist style. 100% sterling silver. You may choose a different type of ear wire from the menu. >> This One of a Kind set of Earrings is READY to SHIP, and will be mailed within one business day. Fast shipping, super cute product and presentation. I love the wrapping and little tin. Very cute, can't wait to give it to my sister. Purchased these earrings for my daughter-in-law and she LOVED them! Great quality too! Will definitely be buying more from this site. The shop owner was also extremely professional and timely with the order. LOVE, LOVE, LOVE!